Did Fall warn you yet? We have had an awesome beginning of fall here in Toronto, sunshine, temperature over 20 C degrees and I have been enjoying this weather every day, wearing short sleeve tops. So last Friday night/Saturday morning our very nice fall gave me a little warning that this is not the nice summer 20 C degrees but the little colder fall temperature. Anyways, I felt a little sick – slow, weak and with a small hint of fever. You know the feeling. And of course I stayed warm and rested because that helps with the BIG immune battle. And drank a lot of water. 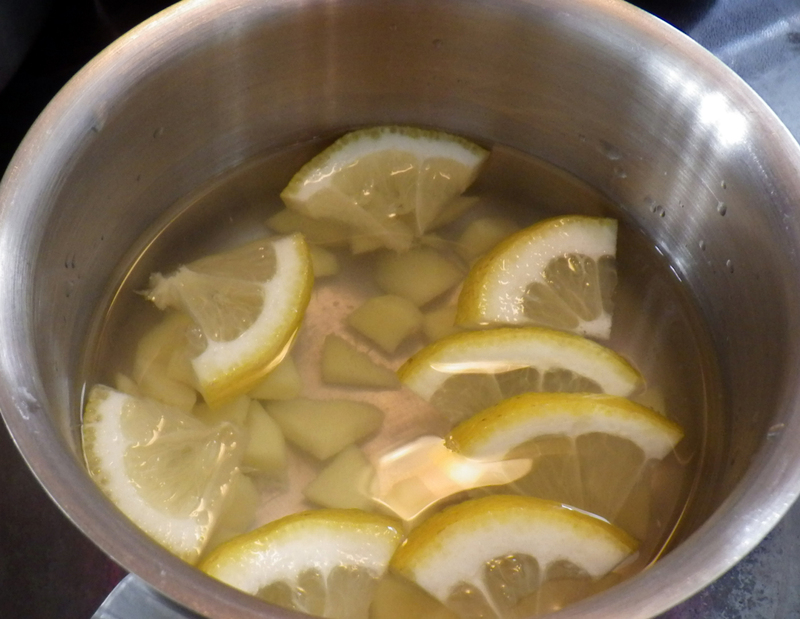 But I didn’t think it was enough and since I’m not very fond of pills (any more), I decided to look up natural cold remedies, something easy that I can make at home, AND that works fast since I wanted to attend this years Nuit Blanche. This is my favourite event in Toronto. I’m allergic to honey! Most of the cold remedies contain honey 😦 I was very sad. 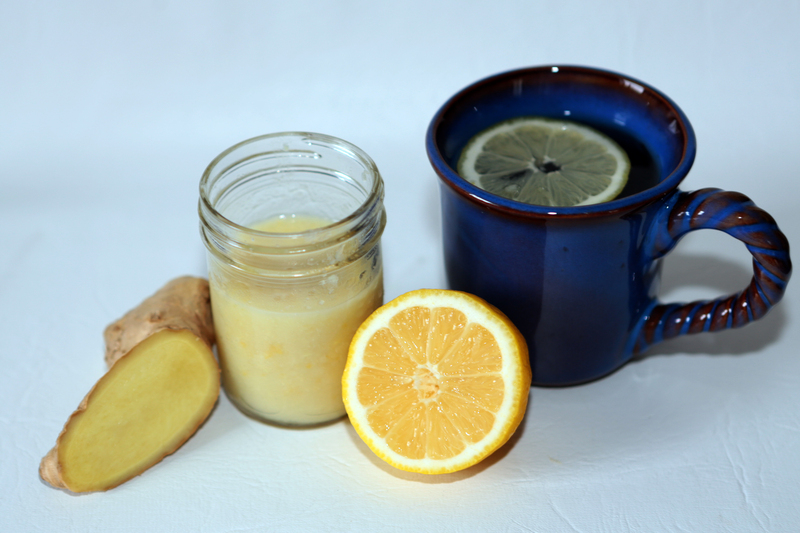 I had to come up with my own – ginger and lemon! 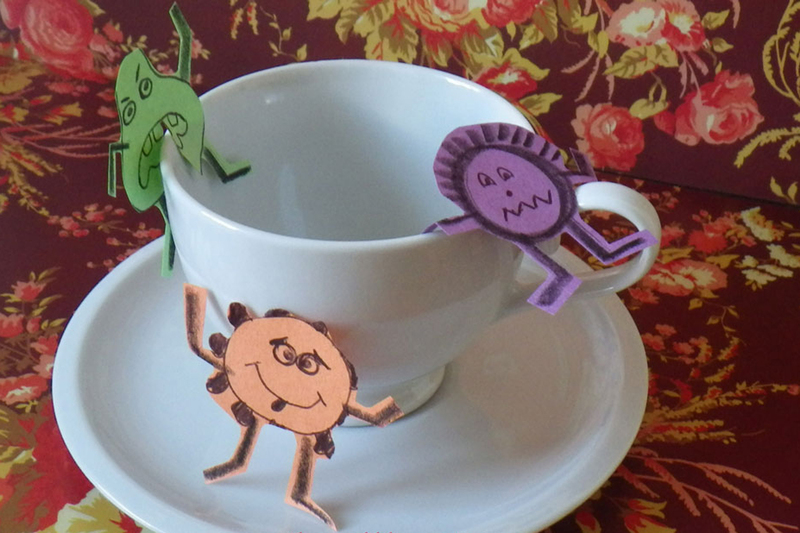 It’s a bacteria fighting mixture! I used 5×3 cm ginger and half a lemon. I boiled them for hour and a half with 1,5 cup of water,then let it cool down. Transferred them into my magic bullet and blended it into a smooth mixture and put it into a little jar. Just one teaspoonful was enough for me for 1 teacup. Since YOU are probably not allergic to honey, feel free to add honey as well…it’s been used for medicine over four thousand years so it’s proven to be AWESOME. I wish I could! I wish you all a wonderful fall…without getting a cold! ← Quick & Easy Pickles. Really!